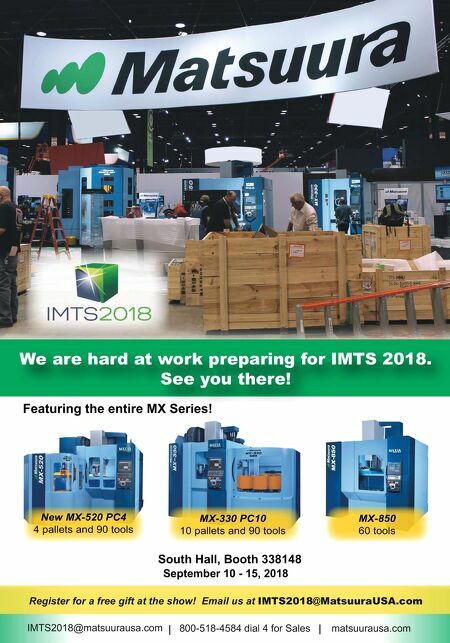 IMTS2018@matsuurausa.com 800-518-4584 dial 4 for Sales matsuurausa.com South Hall, Booth 338148 September 10 - 15, 2018 Featuring the entire MX Series! New MX-520 PC4 4 pallets and 90 tools MX-330 PC10 10 pallets and 90 tools MX-850 60 tools Register for a free gift at the show! 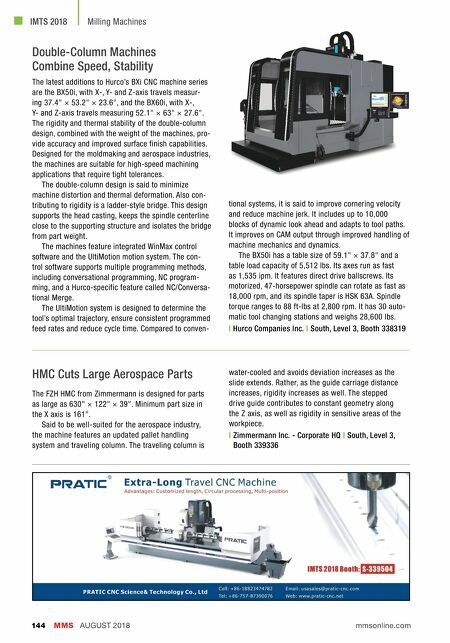 Email us at IMTS2018@MatsuuraUSA.com We are hard at work preparing for IMTS 2018. See you there!